One-third of all online activity is spent watching videos. With video popularity growing, organizations are now prioritizing video content to share their message and promote their business. By 2020, 82% of all global consumer Internet traffic will be watching videos; up from 70% in 2015. Videos are watched, shared, and promoted on websites, Facebook, YouTube, Twitter, Instagram, Snapchat & more! Live video, pre-recorded, 360 degrees, looped, short, long, and even interactive videos continue to grow in popularity. Videos aren’t new. But, the increasing trend is largely due to emerging technology making it easier to produce, watch, and budget for them. Mobile technology plays a key role in video popularity. Over half of all videos are watched on a mobile device. Videos created using a mobile device offer better quality and is now easy to shoot, edit and share videos. Mobile phones now have improved resolution cameras, editing software applications, and the ability to upload directly to social media. Social Media videos can be created with basic equipment and free editing software, but for corporate videos consider outsourcing the project to a digital marketing expert. You want your corporate videos to be professionally done because it represents your brand. The upfront costs will be more, but these videos can be used for multiple purposes; such as, the home page of your website, sales presentations, and media pitches. 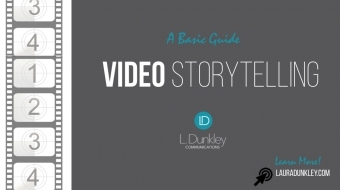 B2B, B2C, and Not-for-Profits need to include Video as part of their Communications Strategy. Including a video on a landing page can increase goal conversion by 80%. If you haven’t implemented video content, or considered as part of your overall communications strategy; marketing, public relations, or corporate communications strategy; it is time to start. This video was created using my Mac and Keynote. The benefits of using Keynote software is that it can be exported as a presentation, PDF, or as a video. Prepare the story first, even if it is in point form | Include an introduction, key points, call-to-action. 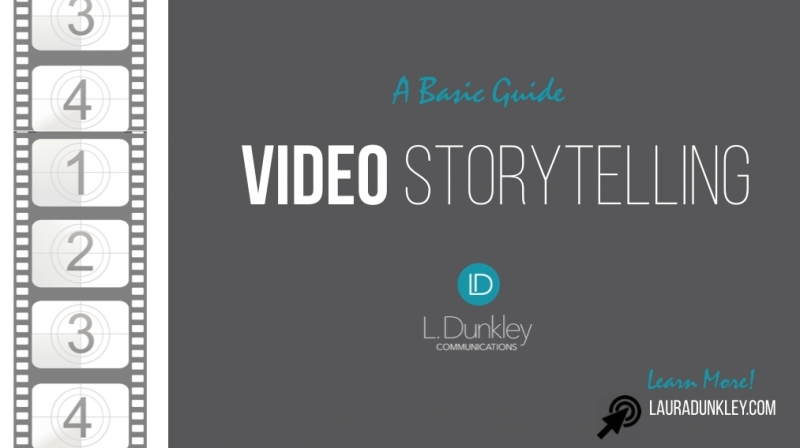 If you can shorten your video and still include all the key points, do it. If you have to be longer, consider putting in notes in the description on where the topic breaks are, or break up your video into shorter clips. Don’t wait until the end to put in your Call-to-Action. Landscape view is the most common way to capture video on your mobile phone. Service industry can take a customer on a tour while they fix, or create, their product. Car mechanic with a GoPro can talk and show the process of fixing a customer’s car then email them the clip with commentary. Or how about watching an artist work i.e. cake decorating, painting, sculpting. Go LIVE! It can be in the form of a demo or a workshop. For a workshop, you can get people to join you and answer questions. Broadcasting on Google Hangouts is an easy way to create an online interactive environment for your attendees. Use video to communicate with employees for training, corporate messaging, promotions and new business. Post on your current intranet, or consider using Facebook Workplace for an intranet platform that is both easy to set up and familiar with most employees. Smart Phone | For social media, short, or live videos, a smart phone is the bare minimum needed. HD Video camera | Offers better quality video and audio recording than a phone or iPad. Computer | Some editing software is limited on a mobile device and often easier to be done on a desktop. Movie editing software | Create a graphics based video right on your desktop! Keynote presentation offers the ability to export as a video. The video in this blog was created using MAC Keynote. There are also SaaS video creation software such as Camtasia and Snagit by TechSmith. Nice to have | lighting, green screen, quality external microphone, clip-on microphone (interviews), tripod, drone, etc. Create a short preview clip with a link to your longer clip on your website or blog where the video is embedded. The audience, topic, and type of video are key factors in determining how long you should make your video. The following are guidelines, and not hard and fast rules. However, video storytelling best practice is to make it exciting, make it audience appropriate, and get to the point in as little time as possible. Note: maximum video allotted video length that can be uploaded to YouTube is 15 minutes with a basic account, but this can be upgraded. Video Ad | 15 sec. - Times will vary depending on the advertising platform. Educational videos | Break them up the segments of your online video course to keep the attention span of your students; two to seven-minute videos are recommended but five is ideal.